Originally published in 1990. This study was first written in 1965 when interest in Leibniz was intensifying. The book looks in detail at the doctrine of necessity – that necessary truths are those derivable from the principle of identity by the substitution of definitions. It first considers views of philosophic predecessors, relating Leibniz’ doctrine to Aristotle and Hobbes among others. The second section examines the conflict between his reductionistic and formalistic views and the opposing intuitionism and anti-reductionism of Descartes and Locke. 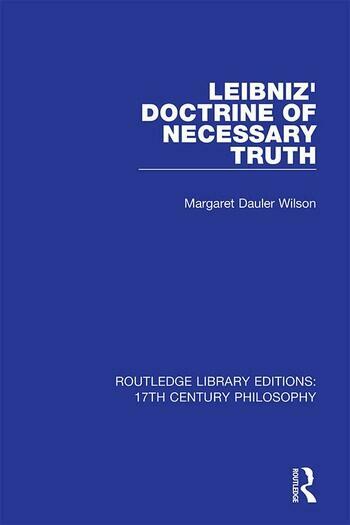 The author critically examines the theory of necessity, including Leibniz’s arguments against the views of Hobbes and Locke, concluding with distinctions between necessary and contingent truths.